The Mid-Norfolk Railway (MNR) is a 15-mile (24 km) preserved standard gauge heritage railway, one of the longest in Great Britain. Preservation efforts began in 1974, but the line re-opened to passengers only in the mid-1990s as part of the "New Generation" of heritage railways. Regular steam and diesel services run 11 1⁄2 miles (18.5 km) through the centre of Norfolk between the market towns of Wymondham and Dereham via Yaxham, Thuxton and Kimberley Park, and occasional sightseer services continue north of Dereham passing the nearby village of Hoe, where there is no station, to the limit of the operational line at Worthing. The line is periodically used for commercial freight operations and staff instruction for mainline railway companies. The MNR is owned and operated by the Mid-Norfolk Railway Preservation Trust (MNRPT, a charitable company limited by guarantee), and is mostly operated and staffed by volunteers. The company owns a further 3 1⁄2 miles (5.6 km) of line, as far as County School railway station, which will make it the third longest heritage railway in England once restoration is complete. 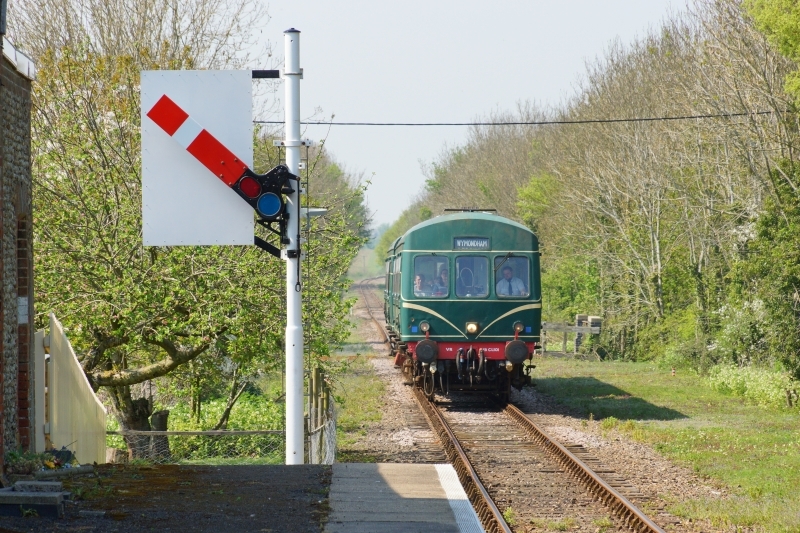 The Mid-Norfolk Railway has had a long-term, published ambition to restore the railway as far as Fakenham, but in 2016 the Chairman, Barry Woodgett, informed North Elmham Parish Council that County School would be the final terminus of the MNR. Please give us your overall rating for Mid-Norfolk Railway.